You can only eat so many desserts before you think you are going to lose it like a marathon runner at mile 25. 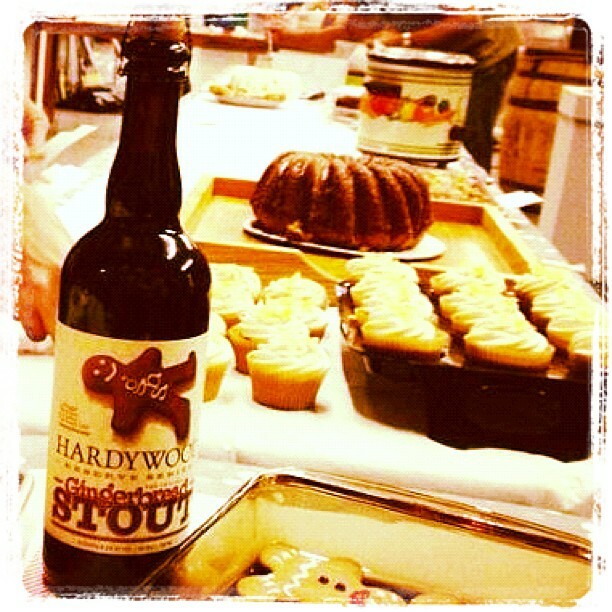 I got pretty close to that point and did not even try half of the competing desserts at the Hardywood Gingerbread Stout dessert pairing competition. The beer by itself is pretty intense. It has a honey sweetness and chocolatey richness that is practically a dessert in a bottle. Nothing pairs better with dessert than more dessert, so why not hold a contest to find the best pairing by asking people to eat over 30 desserts and pick a favorite. Genius! My submission was a beercake made with the Gingerbread Stout topped with a spiced cream cheese butter cream and pieces of candied ginger. 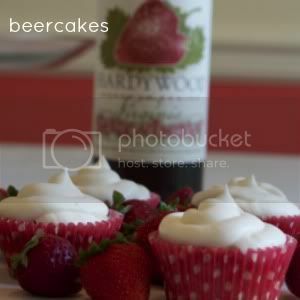 It looked good, tasted good and went really well with the beer. I brought with me a small posse of friends and family. My sister-in-law was lobbying just as good as any of the DC professionals to get my cupcake in the final round. She kept walking by my cupcake display saying things like, “Oh my God, did you try that cupcake? I think it is my favorite.” Jess, you may have a future in politics. I did make it to the top 5 for review by the official judges, but another dessert beat me and I was named as one of the runners up. I was a gracious loser and did not have a Faith Hill moment. 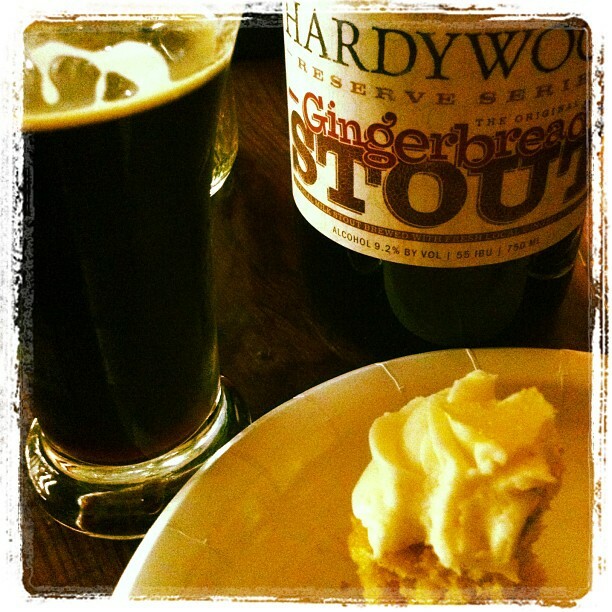 I took my consolation prize of a bottle of Gingerbread Stout and left with my head held high. After the contest a stranger stopped me in the parking lot to tell me he really liked my cupcake. That was just as good as winning. (Not really, winning, is just as good as winning.) My friend Brian Wilson so eloquently put it, that means “you are the first loser”. He always knows how to say just the right thing. I'd like to take this moment to volunteer you for desert at the veg beer pairing dinner again. Next time I'll do a better job of pacing myself. I just sent my RSVP today and hope to be doing dessert again! Hey, being in the top five sounds like a pretty big deal to me! Congrats, and good luck for next time!